A massive farewell ceremony has been organized for Emmanuel Franklin Ofosu Appeah, former Director of the Ministry Of Defence. Mr. Ofosu Appeah served the ministry from June 2006 until he retired from the service this year. The ceremony was attended by the Minister of Defence Lt Gen Smith, Lt Gen. P A Blay and people from all walks of life. Other workers of the ministry, including the Ghana Armed Forces, described Mr. Ofosu Appeah as a hard working man who would forever be remembered. Lt Gen J H Smith, in a farewell speech, said Mr. Ofosu Appeah had been a great pillar in the administration of the ministry. Lt Gen Smith said during the former Director’s tenure in office, negative work attitudes such as unethical behavior, habitual absenteeism, reporting to work late, poor performance and poor service delivery was completely abolished from the ministry. He thanked Mr. Appeah for his invaluable service to the nation. Mr. Appeah assumed office as the chief Director of the Ministry Of Defence in June 2006 at the time the ministry was co-located with the general headquarters at Burma camp. As a chairman of the Defence Budget Committee, he guided the Ghana Armed Forces budgetary processes through the complex maze of legal and constitutional requirement annually, to ensure the effective and efficient discharge of missions. 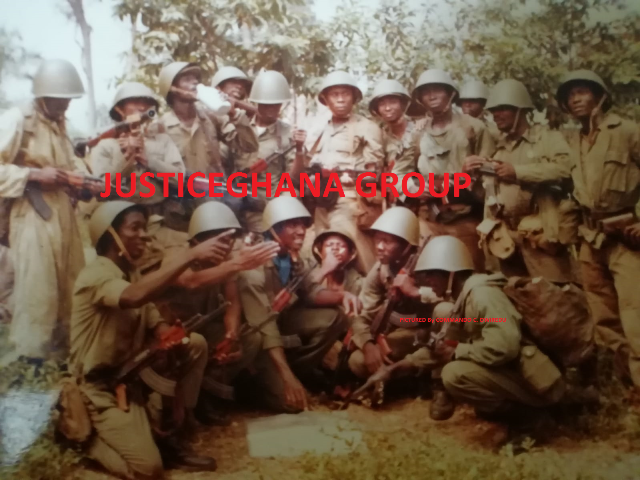 He ensured that the needed logistics were acquired at value for money rates and in conformity with the relevant and constitutional requirement for the effective and efficient execution of the mission of Ghana Armed Forces. The former Director’s citation stated that he had been a solid pillar of support to the Ghana Armed Forces.